NJDEP - News Release 17/48 - Christie Administration Dedicates New Marine Research Vessel to Former DEP Commissioner Robert C. Shinn Jr.
DEP COMMISSIONER ROBERT C. SHINN JR.
(17/P48) TRENTON – During ceremonies today at the Frank S. Farley State Marina in Atlantic City, the Department of Environmental Protection dedicated a new 32-foot water-quality research vessel to former Commissioner Robert C. Shinn Jr., who devoted much of his career in public service to protecting the environment. DEP Commissioner Bob Martin and former Governor Christie Whitman, who named Shinn commissioner of the DEP in 1994, keynoted the event. Shinn’s accomplishments at DEP included creation and implementation of a Geographic Information System-based electronic permitting system called the New Jersey Environmental Management System; creation of the New Jersey Greenhouse Gas Sustainability Action Plan; and development of a National Environmental Performance Partnership System Agreement with the U.S. Environmental Protection Agency. The Research Vessel Robert C. Shinn Jr. will help support the core mission of the DEP to protect coastal waters for the benefit of the public. 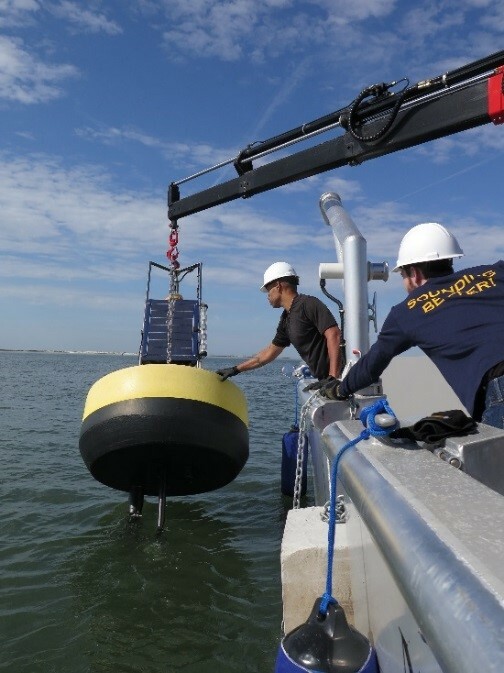 The DEP’s Bureau of Marine Water Monitoring will utilize the boat to monitor the quality and ecological health of coastal waters and marine organisms. 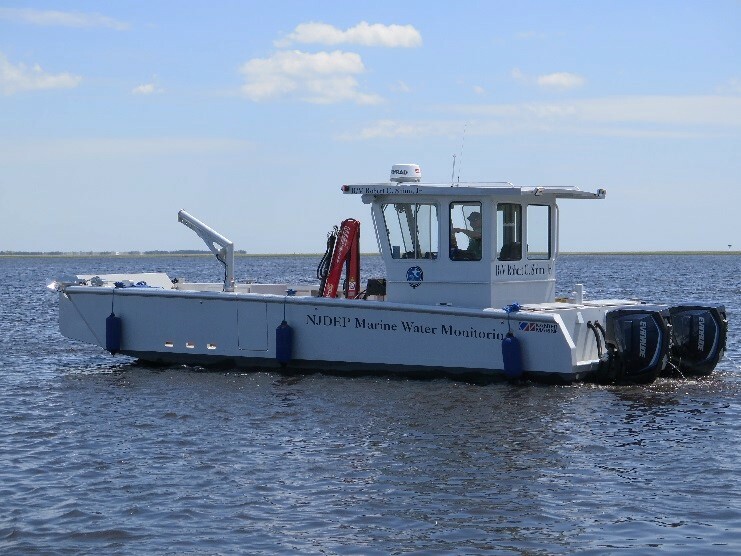 The addition of the boat brings the number of vessels operated by the Bureau of Marine Water Monitoring to 16. This is the second boat to be named for a former DEP commissioner. The first, no longer in service, was named in honor of the DEP’s first commissioner, Richard Sullivan. A lifelong resident of Hainesport, Burlington County, Shinn was sworn into office as the 11th commissioner of the DEP on Feb. 7, 1994. He served until the end of January 2002, holding the post longer than any other commissioner before or since. Shinn has held regional and national leadership roles in several organizations committed to reducing air pollution. He chaired the Ozone Transport Commission and was a member of the Executive Committee of the Ozone Transport Assessment Group. He also served as vice chair and member of the Board of Directors of the Center for Clean Air Policy, a Washington-based think tank on climate change and air-quality issues. As DEP commissioner, Shinn was asked by the administration of President Bill Clinton to appear before the United Nations to discuss climate change, sea-level rise and the DEP’s Silver and Gold Track program, an effort engaging businesses and other regulated entities to become environmental stewards. 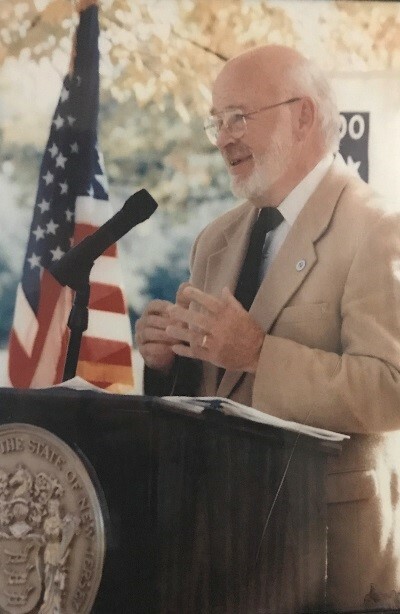 Prior to his tenure as commissioner, Shinn served in the Assembly from 1985 to 1994, representing the 8th District. He chaired Assembly committees on solid waste and land use planning. Prior to his election to the Assembly, he served as a Hainesport Committeeman from 1968 to 1977 and as a Burlington County freeholder from 1977 to 1985. Shinn’s interest in the environment started as a youth. He grew up on a farm in Hainesport. He spent summers plying the waters of Barnegat Bay on a small boat and enjoying the area’s wildlife. He worked in the summers from around the 7th grade into high school cleaning up around a dock area on Long Beach Island. A vivid memory is the oily wreckage of ships torpedoed by German U-boats that washed up along local beaches during and after World War II. These early influences and impressions evolved into strong interests as a public servant in water quality, solid waste management, farmlands protection and preservation of the Pinelands. As a township committeeman and then as freeholder, Shinn saw the seemingly endless streams of trash trucks from Philadelphia on the way to landfills in Burlington County and resolved to do something about it. He helped negotiate an agreement in which Philadelphia and Burlington County would recycle more waste and Philadelphia would ultimately stop sending its trash to Burlington County. This led to a county-wide trash management system and construction of the Burlington County Resource Recovery Facility. He also spearheaded county bond referendums to preserve farmland and ecologically sensitive areas of the Pinelands National Reserve, efforts that have led to the protection of tens of thousands of acres in the state’s largest county. He also served as vice chairman of the New Jersey Pinelands Commission from 1977 to 1985. Following his tenure with the DEP, Shinn started S2 Concepts, a consulting firm that assisted companies in a wide variety of environmental efforts, including energy efficiency, renewable energy opportunities, recycling, technology marketing and compliance assistance. He is now active in restoring old and historic houses.